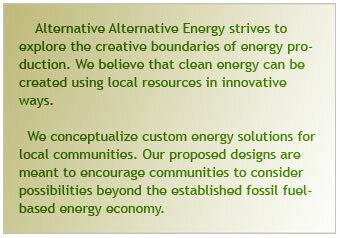 conceptualized as a micro energy economy. AE projects shown as photographs and video. Chinese translations available. Most recently shown at Canon Communication Space Beijing. AE's research into the elusive but enticing idea of a perfect energy cycle.